I thought it might be a good idea to start a thread to note small mentions of Avatar that aren't big enough to get their own topic. It could be a mention of Avatar in a newspsper article, overhearing a bit of conversation, maybe even seeing a kid in an Avatar t-shirt. And I think it is glorious! Who's Wheatley? I vote for Bolin! Mako's definitely a turret. And we already know who Tenzin is. Meelo is the last photobomber, haha. Darren Criss, the actor from the Harry Potter musicals and Glee, mentioned Legend of Korra at least three times on his twitter and that he loves the new episodes that came out. ^Until he meets us... Then runs away scared. Glee, Harry Potter and Avatar, Darren rocks! I saw that. 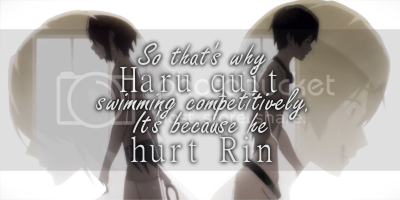 Maybe in a later season he could voice a character like Serena Williams. Yeah, she voiced Ming in 310. I will make no such promises. 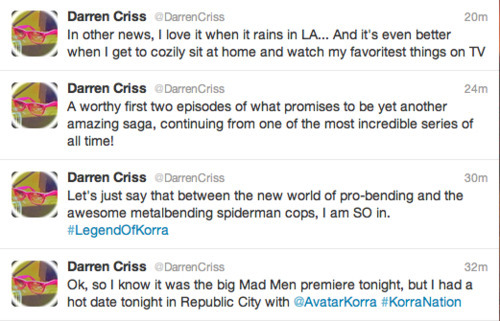 Darren Criss has twitter about his love of Korra. Could he just... marry me or something? Moved Korra trainspotting post into Korra Trainspotting thread. 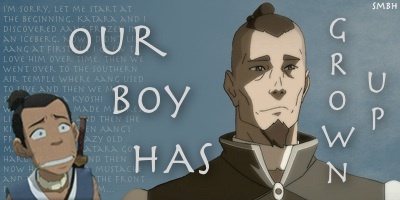 Yes, there is a TLoK trainspotting thread in the TLoK board. 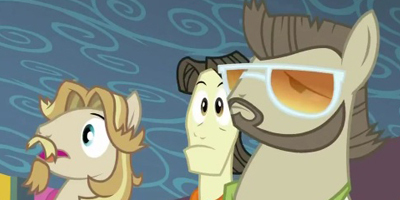 Someone needs to go back and edit that, I demand to see the back of Cave Johnson's head instead of just Tenzin. 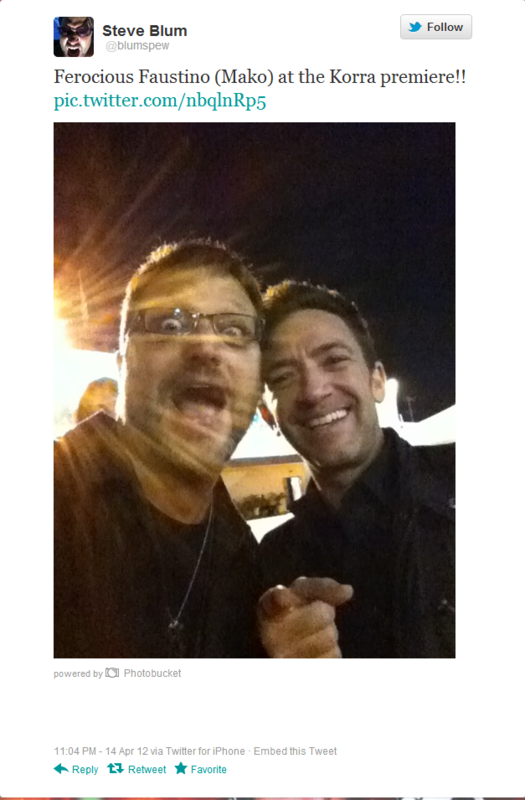 Steve Blum has tweet some pictures from the Korra premiere. Sifu have posted more pictures from the Korra premiere. Seychelle was at the premiere too! 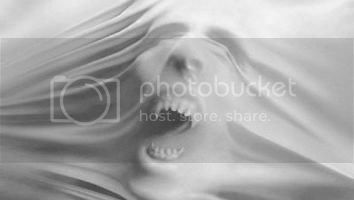 ^Well, this pic debunks my theory. ^ That the Metalbender badge was like Korra's badge but with this photo it showed the full pic, debunking my thoughts on it being one and the same. I live in a small town called Elizabethton, TN. We went to a revolutionary war reenactment and conversation about this show came up and we were filling those who had not watched in on all the good stuff....pretty cool considering most ppl were in period get-up. 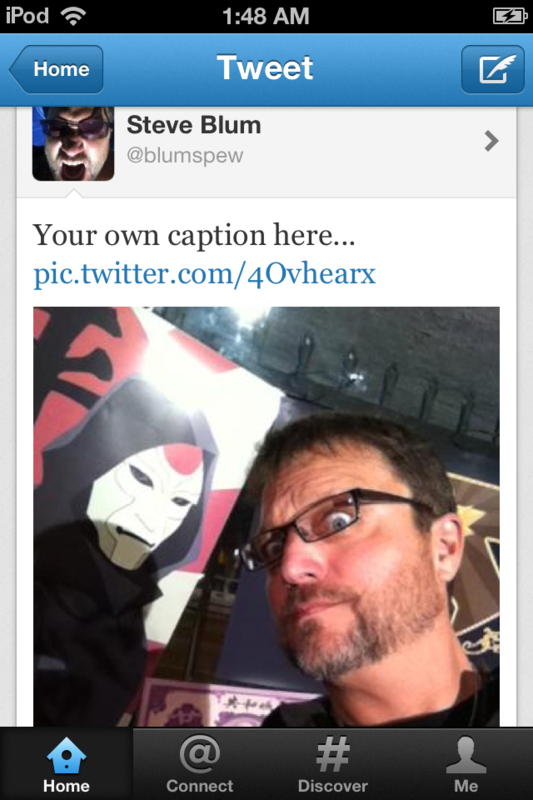 You forgot the one he titled "Amon vs Bolin"
I seriosuly CRACKED UP at that! 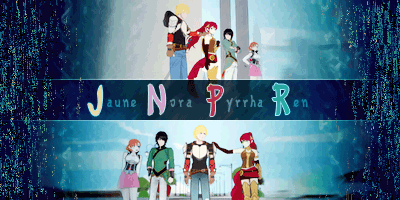 I love all of them so much!